Many homes today or in the past have been built on concrete slabs with the plumbing pipes running under and through the slab. This can make repairing plumbing slab leaks extremely difficult because the floor and concrete slab often need to be torn up to reach the leaking plumbing pipes. Recently, Nu Flow was contacted by a homeowner that needed help solving multiple pinhole leaks in copper pipes that were set under the concrete slab foundation. The homeowners explained that they have experienced six pinhole leaks over the last 12 months. Each time the homeowners had a leak, they called a plumber who dug up their floors, cut through the concrete slab and replaced the leaking piece of pipe. Unfortunately, it only solved the problem in the short term. A couple months later, the homeowners would experience a new slab leak, and the repair was the same. The plumber would arrive at their home, cut through their floors and the concrete slab and replace the leaking piece of pipe. After the sixth leak repair, the homeowners realized they needed a permanent solution that didn’t involve ripping out floors and cutting through the concrete foundation of their home. That’s when they contacted out pipe lining technicians here at Nu Flow in Chicago. The Evaluation: Can Epoxy Pipe Lining Provide a Solution? 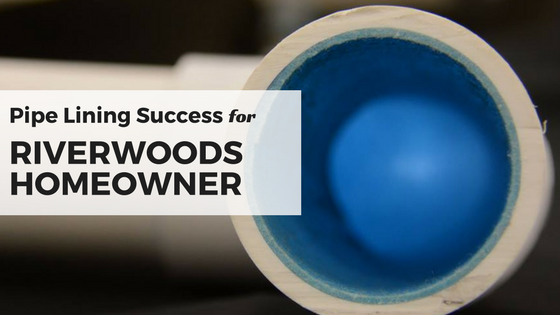 Our pipe lining technicians entered the home and performed a thorough evaluation to see if the Riverwood homeowners would benefit from having the pipes under their concrete slab lined with epoxy. The camera inspection revealed that our repair technique would be a pipe lining solution. A pressure test during the initial evaluation phase determined that along with two pinhole leaks under the slab, the homeowners also had numerous pinhole leaks in their walls. 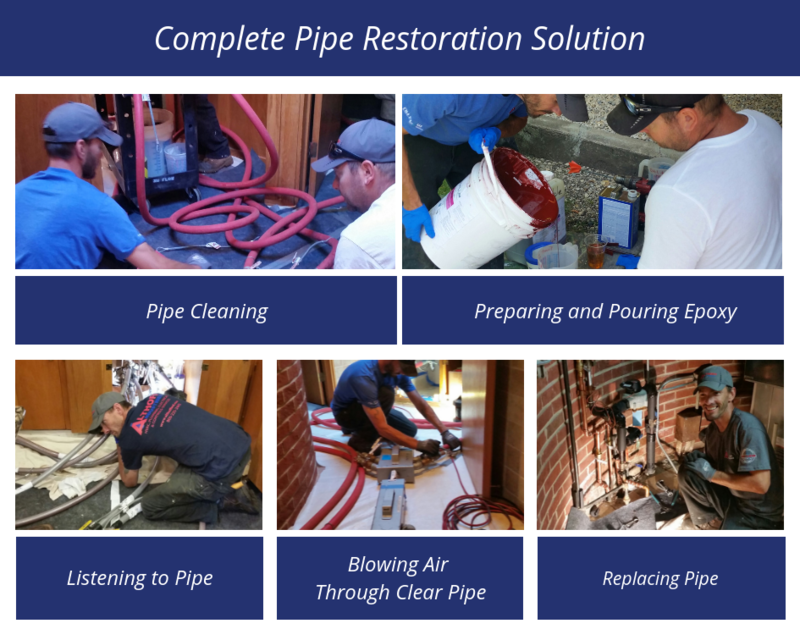 Our team of pipe lining experts and professional plumbers developed a combination solution that addressed both issues so that the homeowners would not experience any more leaks in their copper piping. We decided to repair the copper pipes under the home with epoxy, which would seal the leaks and prevent future deterioration and corrosion of the host pipes in the slab. For the wall leaks, our plumbers decided that replacing those pipes were in the homeowners best interest, so the old pipes were removed from the walls and replaced with new pipes. In addition, we were able to separate the house into two sections so that the homeowners could live in the house while the work was being performed. The isolation of the two sections of plumbing allowed the homeowners to still use their bathrooms and showers and have access to clean drinking water while we performed their plumbing repairs. To our amazement and gratitude, the homeowners provided our pipe lining and plumbing crew with fresh fruit each day, which we still talk about. If you have a pin hole leak under your concrete slab or have had to pay for numerous pipe repairs under your concrete slab, Nu Flow has a pipe lining solution for you. Our pipe lining technicians can examine your pipes with a video camera and pressure test your plumbing system to determine how many leaks you have. Then, we can develop a custom pipe repair solution that meets your specific needs. 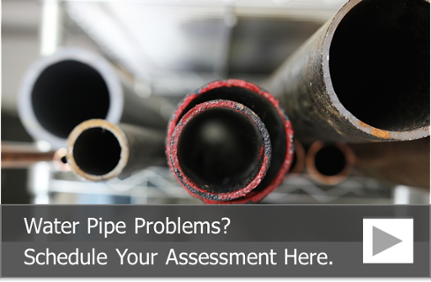 For more information and to schedule a pipe assessment, call us at 815-790-9000. Please contact info@nuflowmidwest.com and they can help with this specific situation. Thanks!